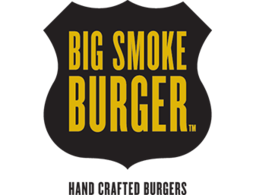 Get better burgers with Big Smoke Burgers. Made with 100% Canadian AAA beef, fresh lamb, and fresh chicken. Homemade sauces and hand-cut fries, Big Smoke is alway fresh. Come in for a bite at CF Sherway Gardens in Mississauga.